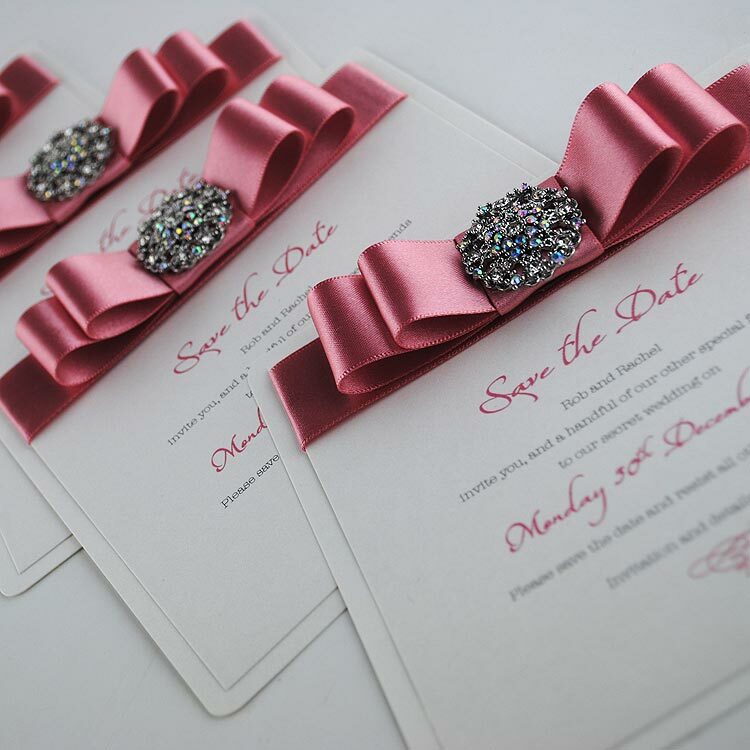 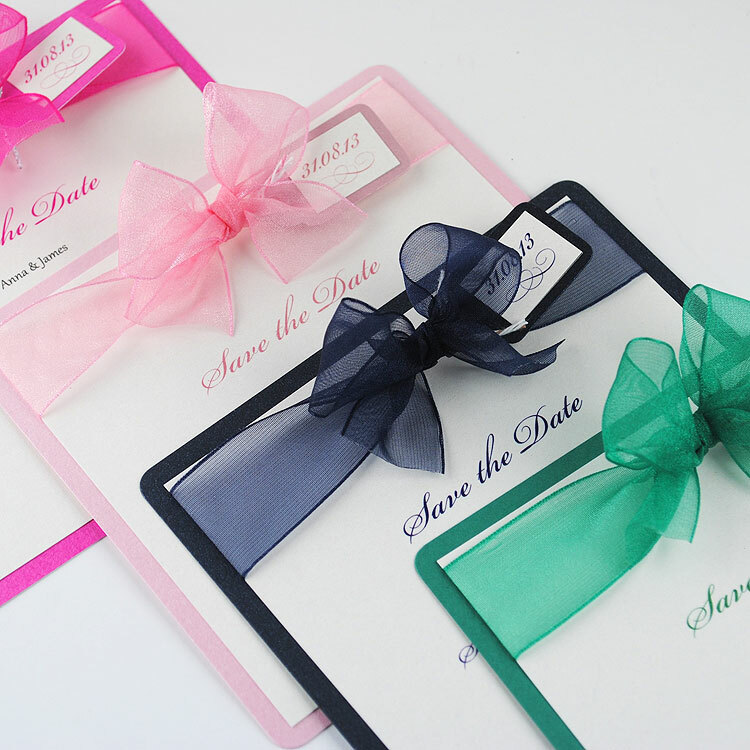 Once your wedding date is officially set let everyone know with stunning handmade save the dates cards. 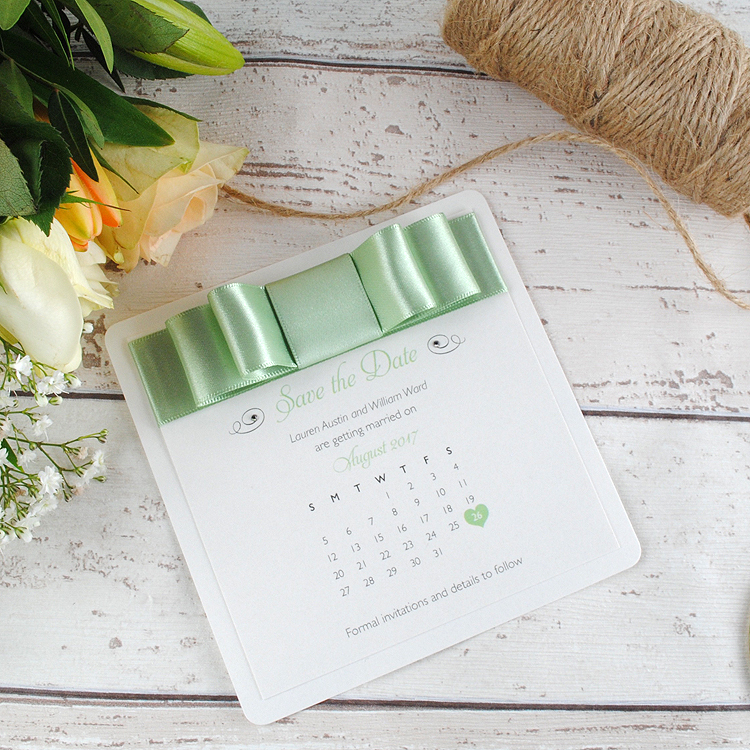 Perfect for busy lifestyles, we recommend that you send your save the date cards out as soon as is realistically possible – around 6 – 12 months in advance. 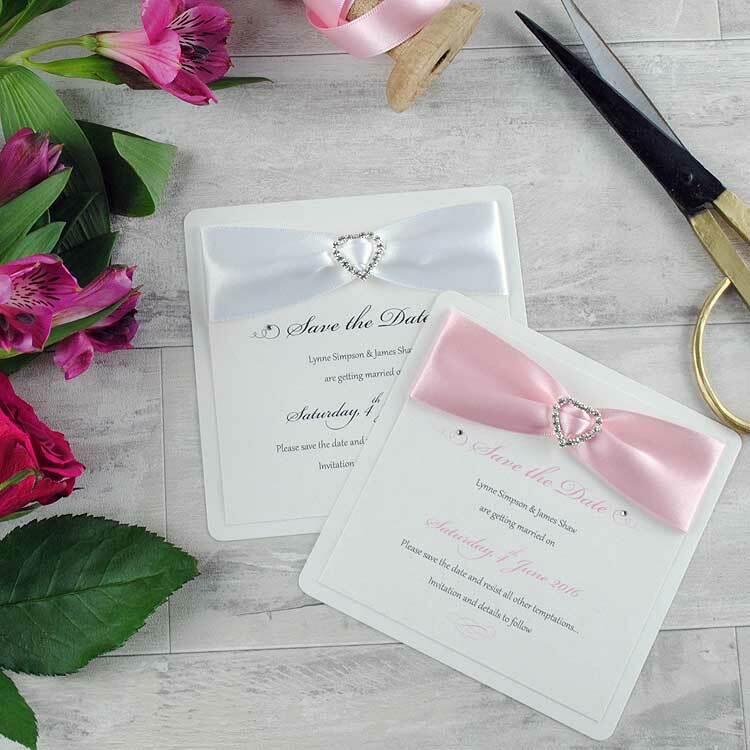 Especially if you are getting married abroad or your wedding falls at a busy time of the year, for example, Christmas or a bank holiday weekend. 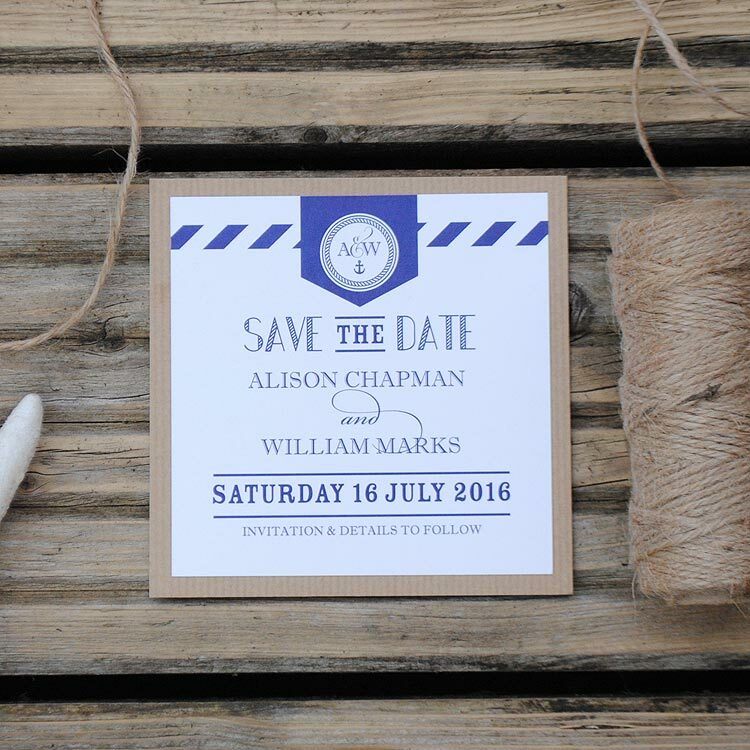 Save the dates are to inform your guests of your wedding date and location so they can book time off work and make travel arrangements in advance. 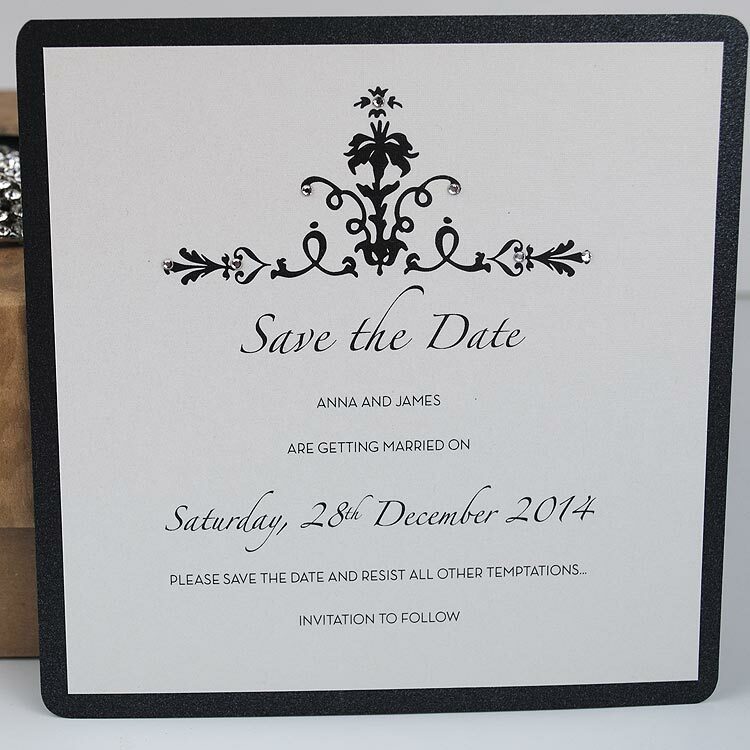 There is no need to include the wedding venue and time at this stage. 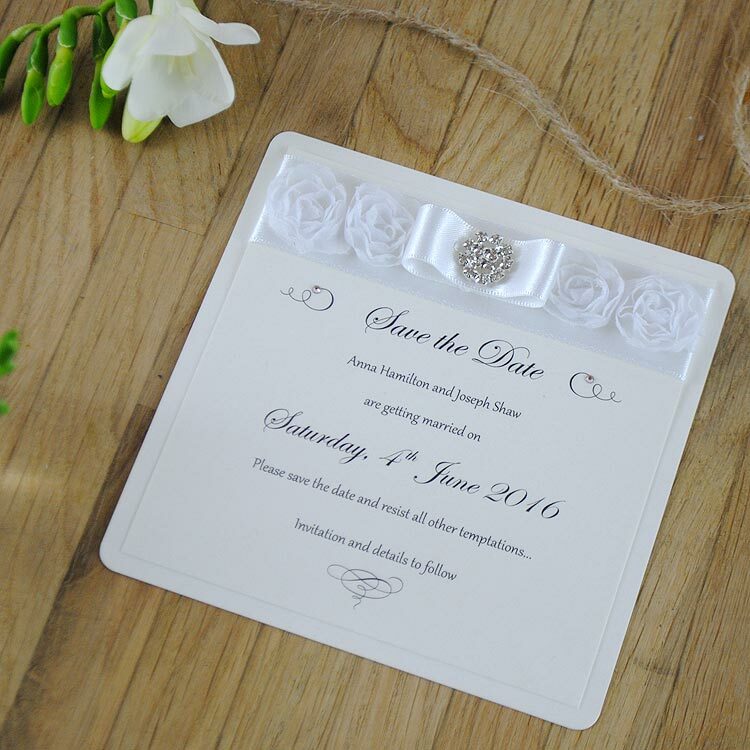 Measuring 120 x 120mm, supplied with a quality pearl envelope in white or ivory. 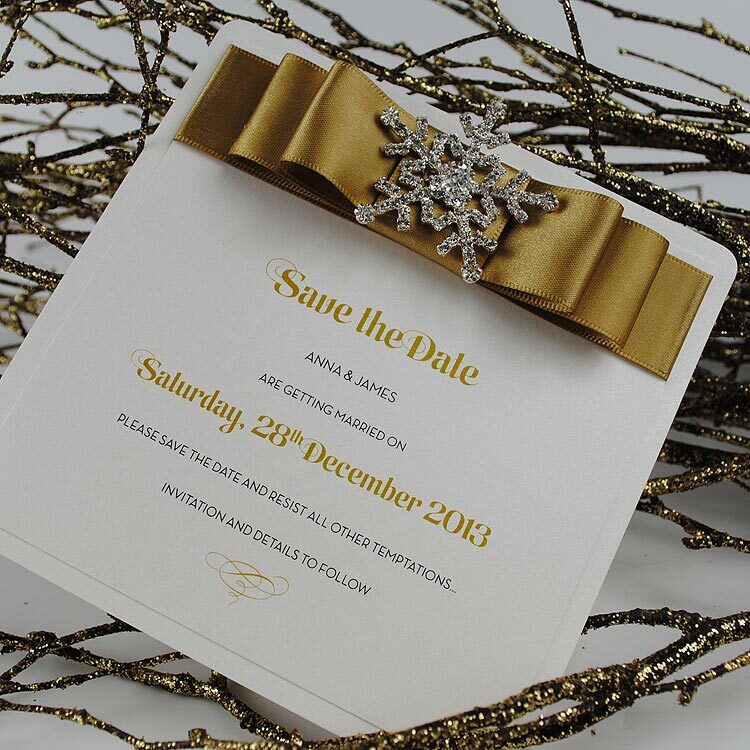 Opt for a flat magnet on the reverse so your guests can display them with ease. 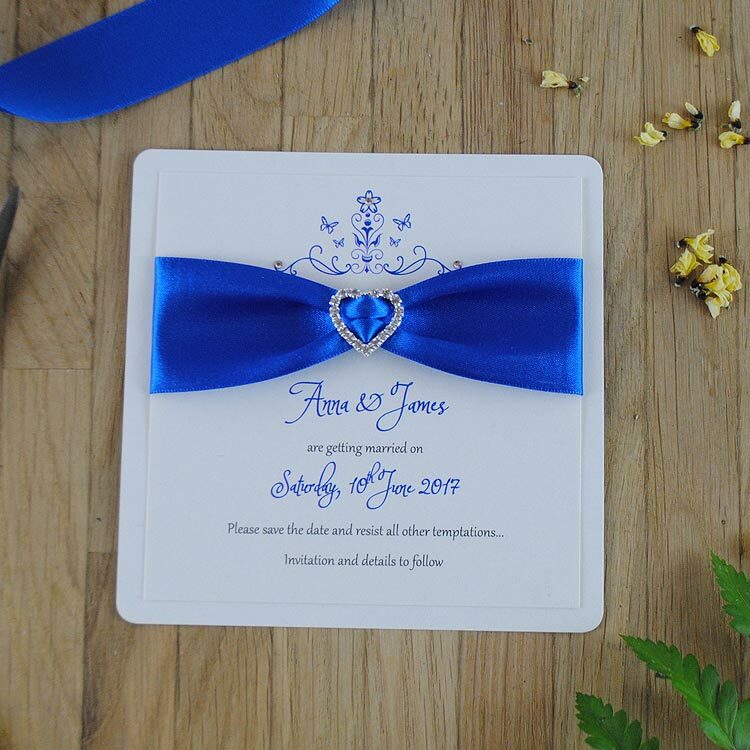 Our handmade save the date cards are printed on fine quality fabric embossed card and can be designed in your very own colour theme. 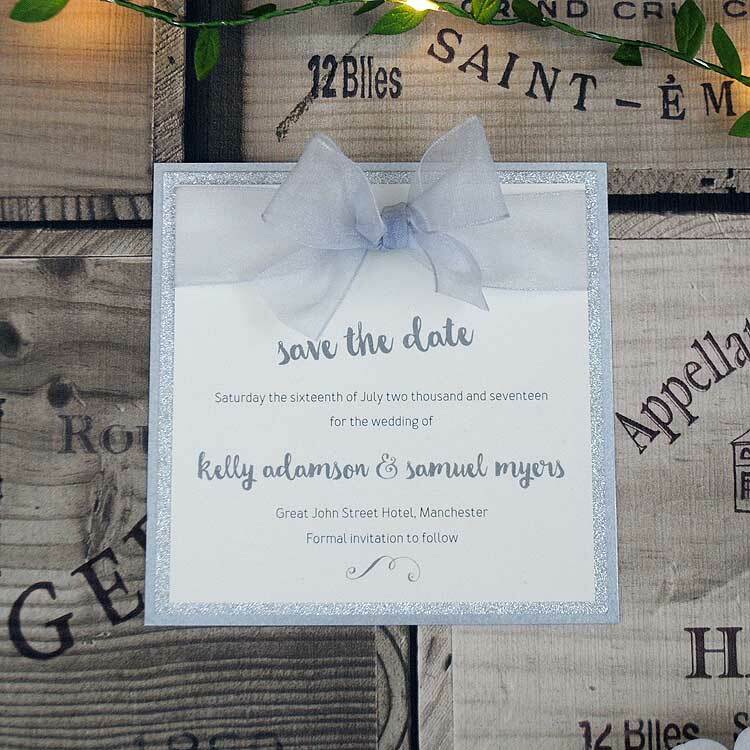 We have save the date cards to match all of our invitations designs so they are the perfect way to share your news and set the tone of your big day. 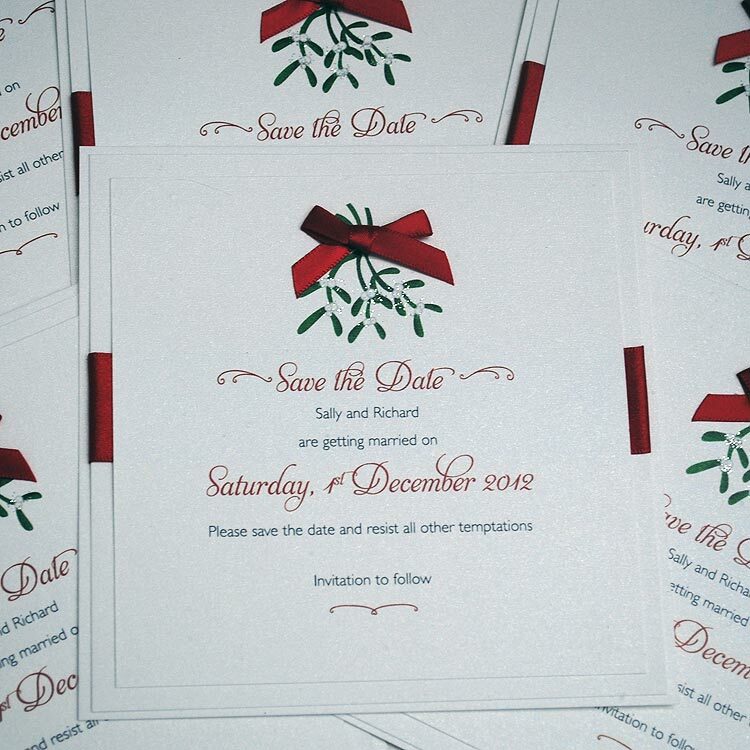 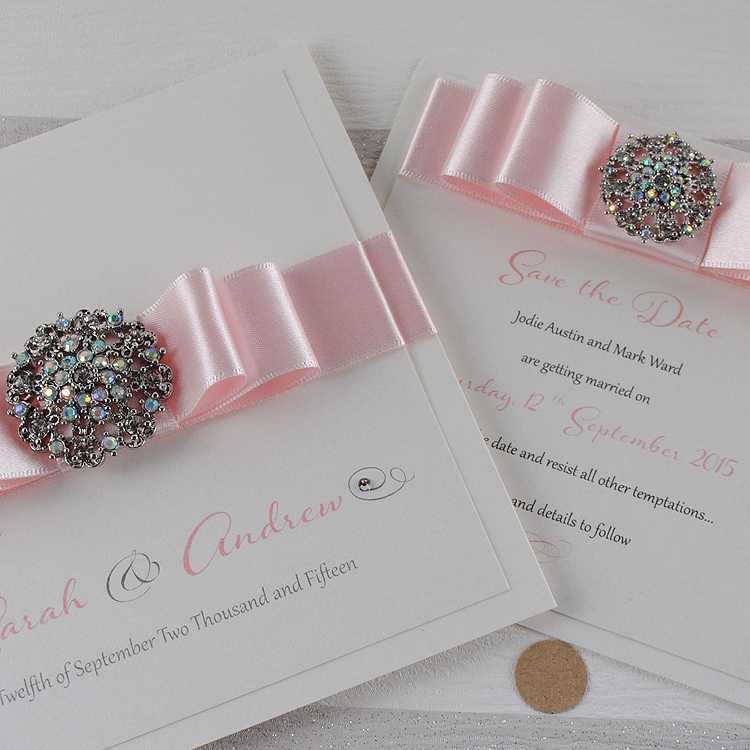 Call us today on +44 (0)7886116950 to discuss your requirements or complete our contact form with your details to order your personalised save the date cards.